The Yankees looked like a team that can’t lose today! Great starting pitching, timely hitting, good defense, excellent pen, and a homerun by Aaron Judge! After a night of rain, and a grey morning — it turned into a 70-degree, beautiful sunny afternoon at Yankee Stadium. 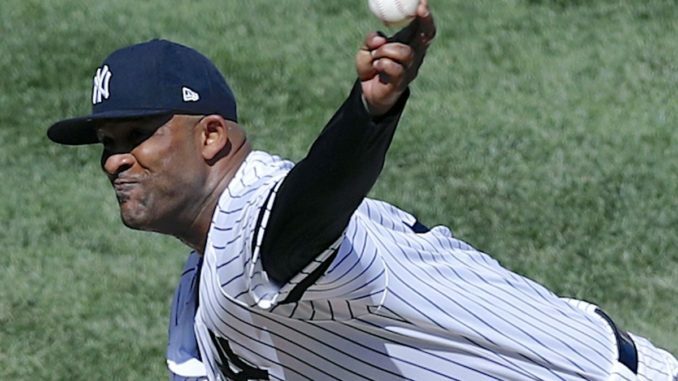 CC Sabathia, fresh off the disabled list for recuperation from his heart surgery prior to the season (where a stint was put into one of his arteries), and serving his suspension from last season — looked SHARP. He blew through the Chicago White Sox lineup with his heavy power pitches — allowing 1 hit through 5 innings, striking out 3. Then Domingo German came in and was scintillating. Two innings — no hits no runs, struck out 4. On the other hill, it was “good” Ivan Nova (vs “bad” Ivan Nova who can get lit up). Good Ivan Nova had his breaking pitches breaking and had the Yanks shutout through 6 innings. To the bottom of the 7th. Gleyber Torres led off with a single, sending Nova to the showers with pitches thrown. Greg Bird, batting under .200 with his MLB seemingly hanging by a thread, hit a double-play grounder to second, which was booted by ChiSox backup 2nd baseman Yolmer Sanchez (who had come in in the 6th, pinch hitting for normal 2nd baseman Jose Rondon). 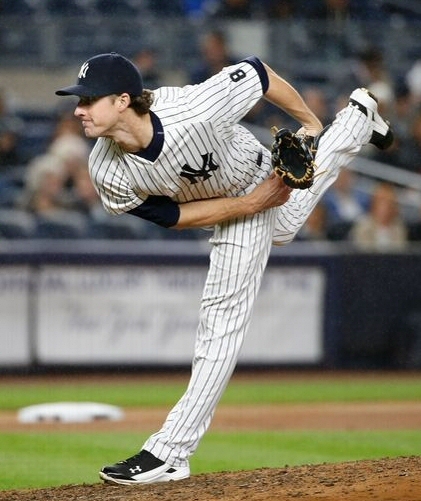 Reliever Jace Fry was relieved by Ryan Burr, and Clint Frazier singled to load the bases. Luke Voit pinch hit for Mike Tauchman, and chopped a single through the infield for the first run. 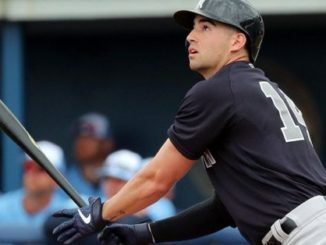 Kyle Higashioka hit a deep fly ball for the sac fly — just missing a grand slam, and Tyler Wade Bunted for a single and an RBI — 3 runs just like that — a little bit of luck, and a little bit of small ball. Aaron Judge finished the scoring with an opposite field line drive homer in the 8th. And that was it. The Yankee ballpen came in and was lights’ out. Zack Britton pitched a shutout 8th, and Aroldis Chapman threw smoke for a 1-2-3 9th. How easy it is to win — and how good a team looks — when the pitching staff doesn’t allow any runs. 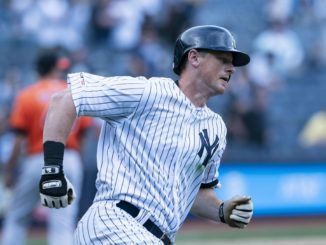 DJ LeMahieu went 1 for 3 with a walk (batting .432); Brett Gardner went 1-4; Gio Urshela came in for defense late. The Yankee injury list continues to be large: Gary Sanchez, Miguel Andujar, Giancarlo Stanton, Luis Severino, Aaron Hicks, Troy Tulowitzki, Jordan Montgomery, and Didi Gregorius.